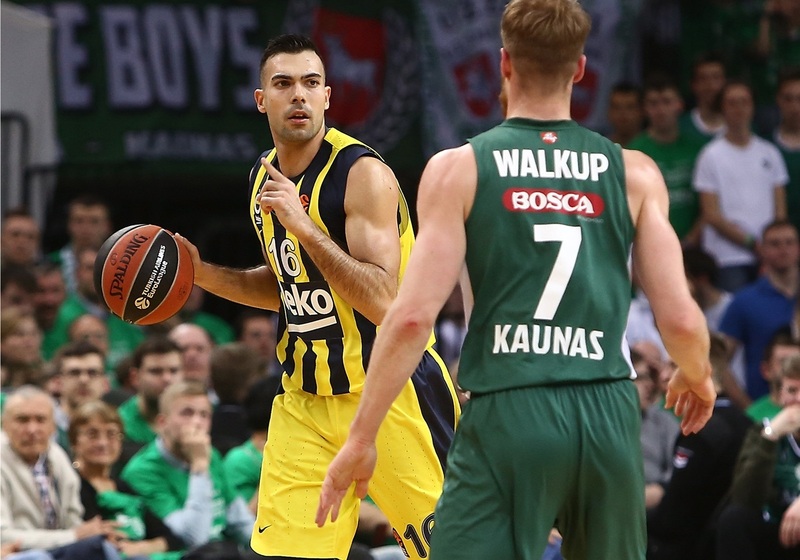 Fenerbahce Beko Istanbul went back ahead in its series against Zalgiris Kaunas with a 57-66 victory over the Lithuanian champions in Game 3 at Zalgirio Arena. Fenerbahce now leads the best-of-five series 2-1 and can finish things off and clinch a Final Four berth on Thursday with a win. 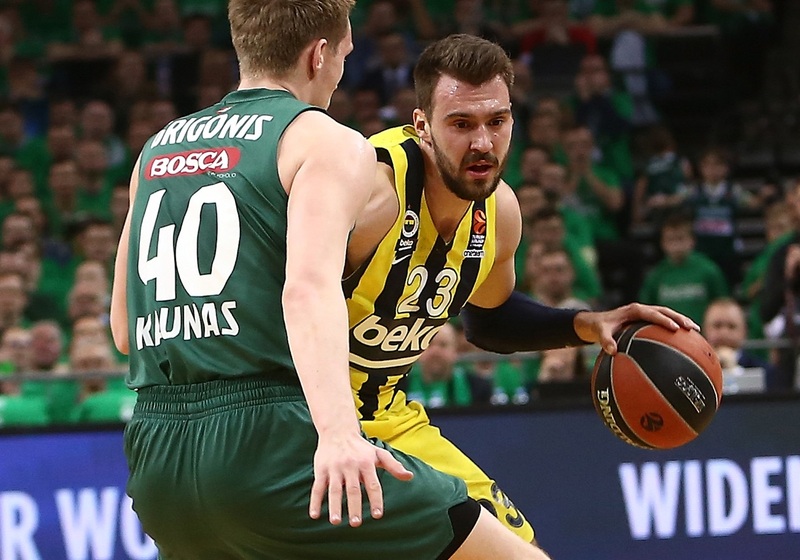 Zalgiris led by as many as 9 points in the first half, but Fenerbahce came out for the second half in a defensive mindset and allowed only 23 points over the final 20 minutes. 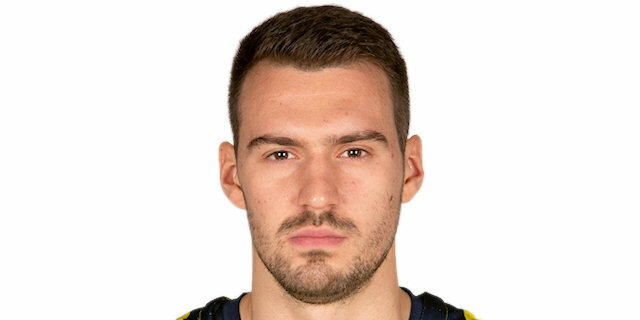 Marko Guduric stepped up for Fenerbahce with 17 points and Jan Vesely added 10, while Luigi Datome contributed 8 points, 7 rebounds and a career-high 4 steals. 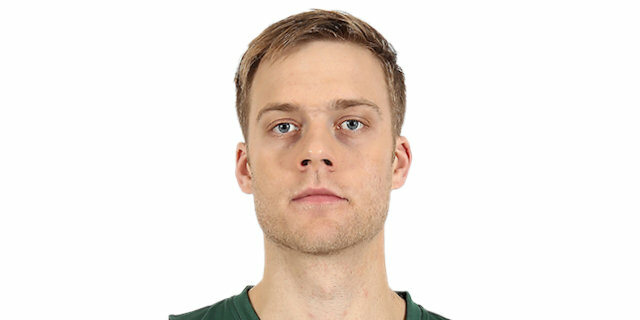 Nate Wolters paced Zalgiris with 15 points. 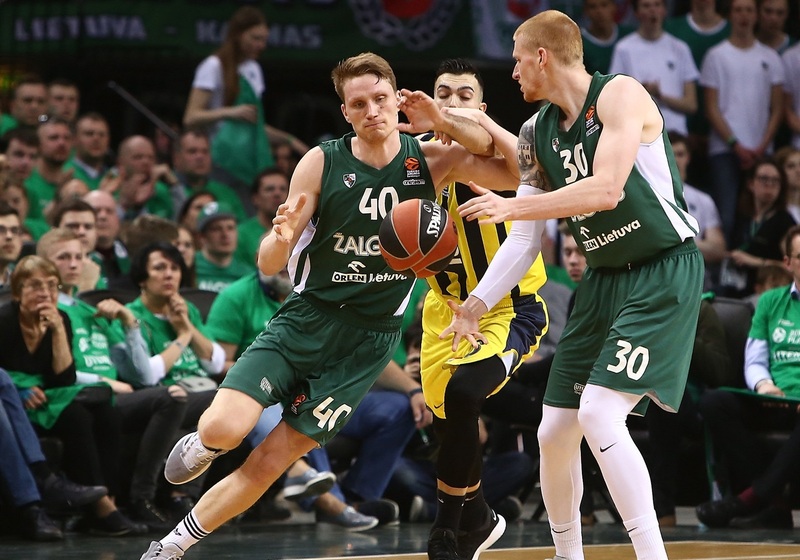 Fenerbahce powered the offensive glass for 5 offensive rebounds in the game's first 4 minutes, but Aaron White and Thomas Walkup teamed up on a 9-0 run that gave the hosts an 11-5 lead 6 minutes into the game. 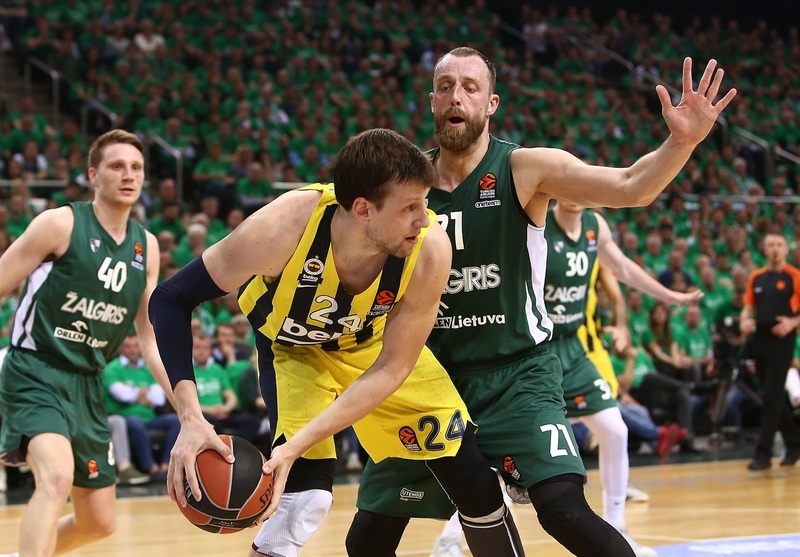 Fenerbahce faced further trouble when Vesely took a seat with 2 fouls. The visitors drew within 2 thanks to Nikola Kalinic and Kostas Sloukas, but Walkup went coast-to-coast to beat the first quarter buzzer with a layup that made it 19-15 after 10 minutes. A Leo Westermann triple early in the second quarter put Zalgiris up by 7 and Edgaras Ulanovas boosted it to 26-17. Brandon Davies was called for an unsportsmanlike foul on Vesely – his third – and came out with 5 minutes left in the half. Vesely dunked for his first basket of the game, which narrowed the gap to 32-26 with 2 minutes remaining in the second quarter. Sloukas ended the half with a pull-up three-pointer to bring Fenerbahce within 34-31 at halftime. Vesely kept the visitors' momentum going with a steal and slam to start the second half. Back-to-back threes by Guduric gave Fenerbahce its first lead since the opening minutes, 37-39. 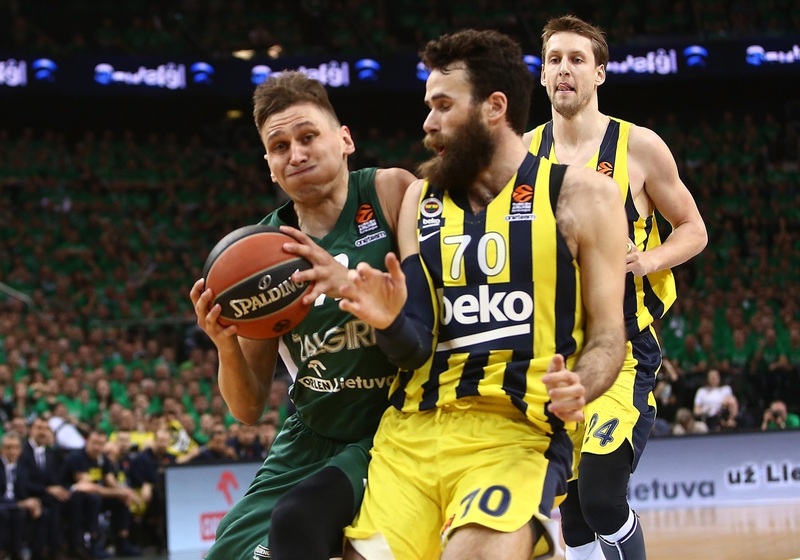 Davies got going inside for Zalgiris to even the score at 41-41, however, Datome drilled a third-chance three-pointer and Guduric added free throws as Fenerbahce claimed its biggest lead, 41-47. Davies free throws got Zalgiris back to 46-49 through three quarters. 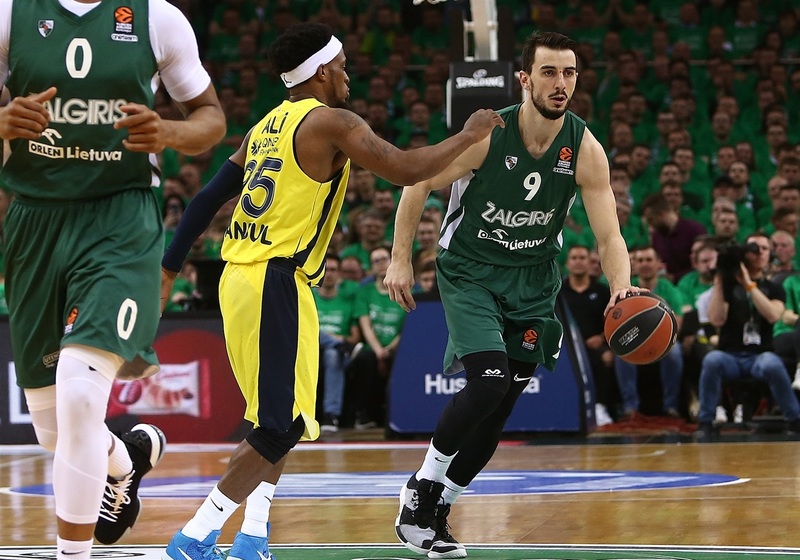 White turned an offensive rebound into Sloukas's fourth foul and 2 free throws to bring Zalgiris within 1 point. Guduric struck from deep again to keep Fenerbahce ahead. Wolters's third triple of the game made it 53-54 with 3 and a half minutes to go. 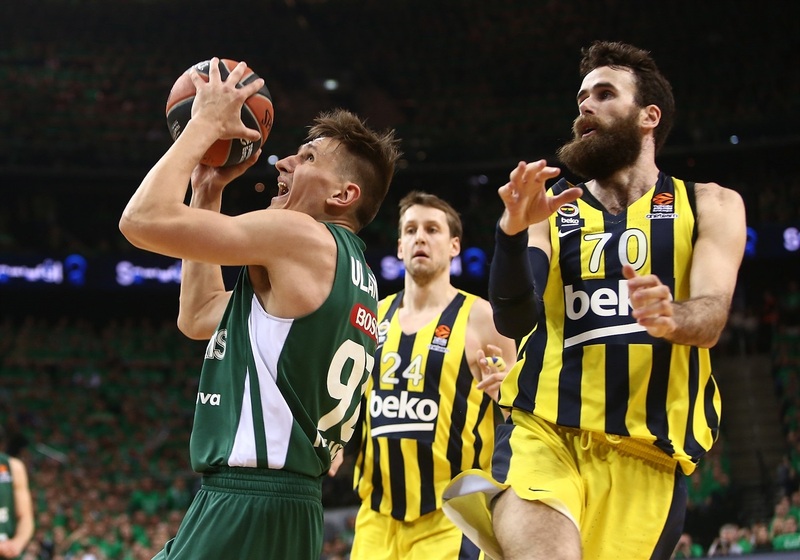 Melli responded with a three and Vesely dunked to give Fenerbahce a 54-59 cushion. A Melih Mahmutoglou triple with 42 seconds to go all but put the game on ice as Fenerbahce held on for the victory. Veteran guard Sinan Guler did not play in the first half, but he came in early in the third quarter and played a key role in Fenerbahce's strong defense the rest of the way. Guler was active against the Zalgiris guards and in the passing lanes, while using his fouls as a weapon, too. He tallied 2 points, which came off one of his 2 steals, and also recorded 1 rebound and 1 steal. More important than his individual numbers, Fenerbahce outscored Zalgiris by 4 in the 6:39 he played. Fenerbahce made the most of its offensive rebounds and steals in this game. The visitors had 16 of the former and 12 of the latter. Zalgiris, in contrast, had 13 offensive boards, but only 3 steals. 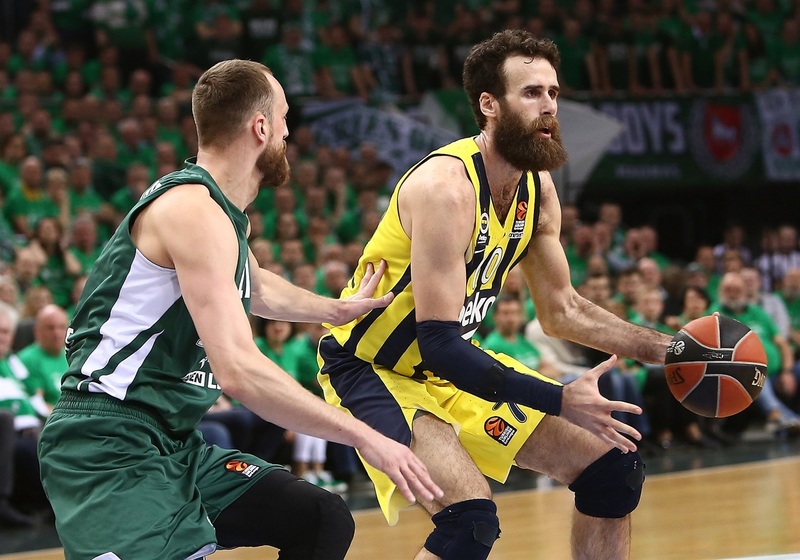 Fenerbahce capitalized by scoring 15 points off turnovers, compared to 8 for the hosts. 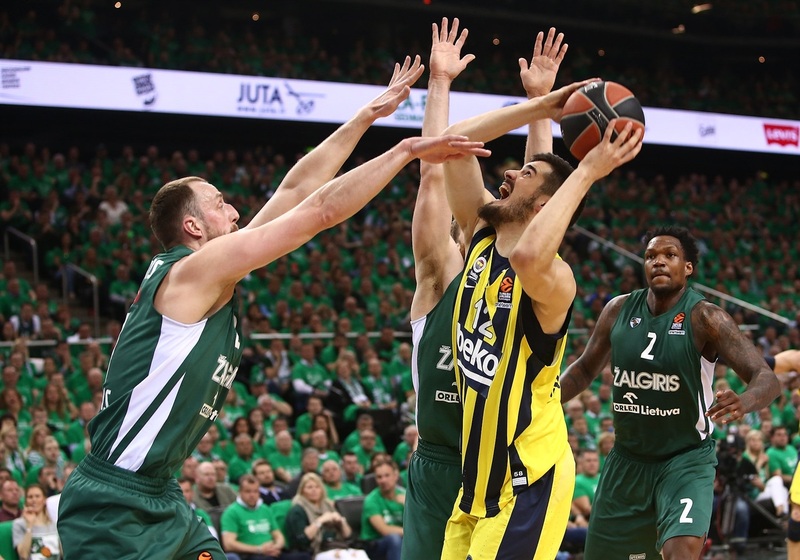 The Turkish champs scored 16 second-chance points and Zalgiris had only 12. 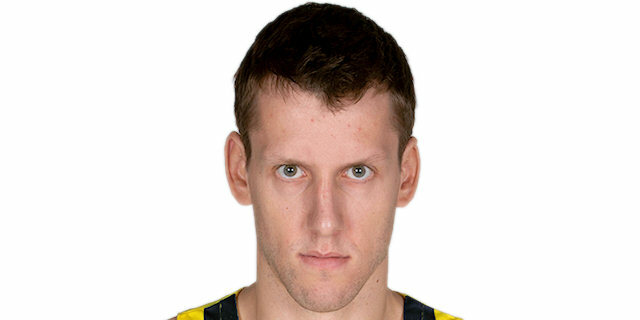 Jan Vesely became the 14th player in EuroLeague history to corral 1,000 career rebounds with a tip-in late in the second quarter. The Czech Jet finished the game with 1,001. he needs 36 more to catch Nikola Vujcic for 13th place all-time. The two teams meet again on Thursday at the same place. 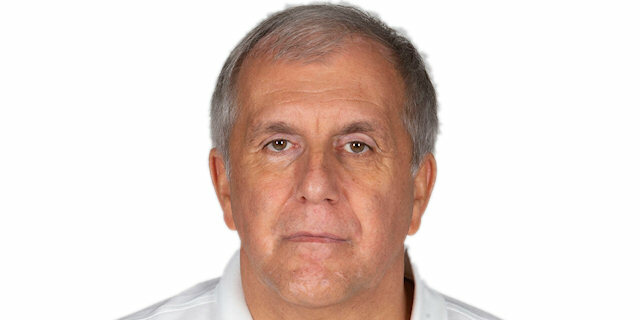 A Fenerbahce victory will give Coach Zeljko Obradovic's men their fifth straight trip to the Final Four. 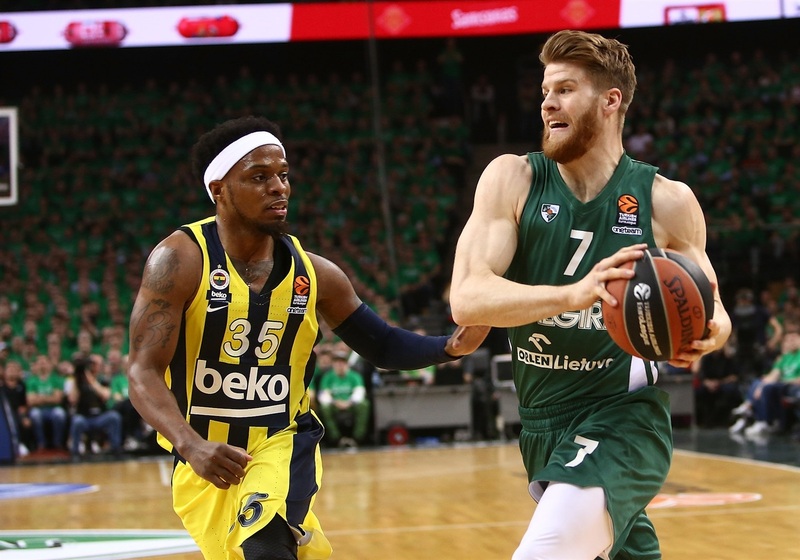 A Zalgiris win will extend the series to a fifth-and-deciding game in Istanbul next week. "Congratulations to Fener. We stayed in the game a long time because of our emotions and because Fener was missing a lot of shots. But unfortunately, the basketball that we played today was not very good. We didn't have clear heads. We didn't try to think about where we wanted to attack and a little bit of [inexperience] came out." 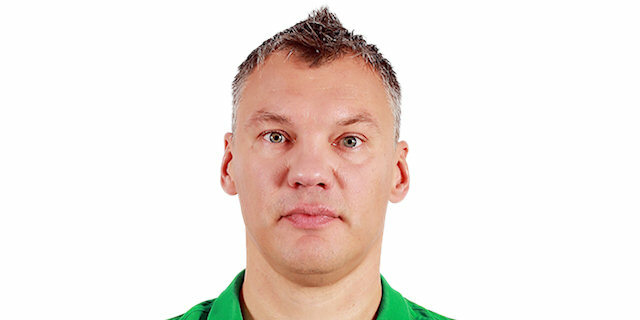 "If you watch the numbers, Zalgiris had almost the same numbers like four days ago. They shot tonight 34 two-point shots. Last game in Istanbul is was 34. But it was 24 from 34; 70%. This means that we didn't even try to play defense. Today, 14 of 35. Same number of three-point shots. Same number that they scored, 6 for 17. A little bit less free throws. So the key of the game was for sure our defense." "I don't think it was a good game offensively. A lot of open shots for both sides. 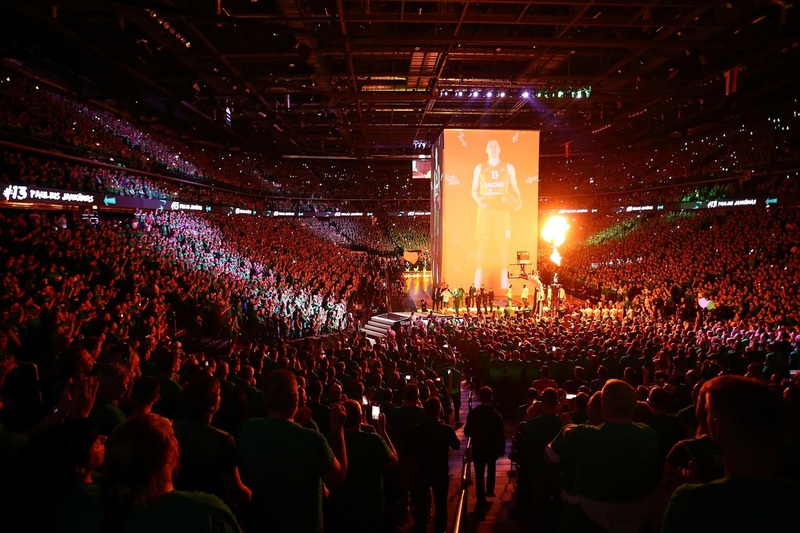 This is the playoffs. This is how it is. We need to change some things for the fourth game. One more time they showed character, they showed that they are a very good team, so we need to be ready for the fourth game. If you have a bad day offensively, you need to fight and you need to play smart in defense; I am very happy with our defensive performance." "I think the physicality that won us Game 2, they came back and did to us in Game 3. It was just disappointing for all of us to have that let us down today. Rebounds were huge. Initially, we did a pretty good job on defense, but it was those second-chance points, pretty much all day, it felt like throughout the whole game that were back-breaking plays." "We definitely had chances to win and we just didn't make enough plays. At the start of the second half, we didn't start good; we kind of played tentative. They're a good defensive team. We just couldn't find ways to score. They've been playing hard all series and so have we. They're a good team. We have to work hard and play smart if we want to score consistently. I just done think we were as aggressive as game 2 – driving and getting closeouts and stuff like that. We kind of got stationary and their defense is pretty good when we're standing around." "Very difficult game. Very difficult court to play on. The fans make a great atmosphere which is difficult to play in. In the first half, we didn't play how we wanted, but in the second half we fought from the beginning and we got the win. It's a tough matchup [against Brandon Davies]. It's a team sport. They play great team basketball. It's not about one player; we tried to stop their best players. Today we did it." "Very tough game. We expected a very tough atmosphere and I'm very happy that we showed character, especially in the second half. But it's only 2-1 and we have to stay focused and prepare in this short period as best as possible for the next game. I'm just happy that we won the game. I did my job."